Gayatri is a Sanskrit word, made up of two words "Ga" and "Yatri". "Ga" intends to sing and "Yatri" implies safeguard. Thus it implies that the individuals who revere Gayatri get secured. Goddess Gayatri is known as Veda Mata, the mother the Four Vedas. 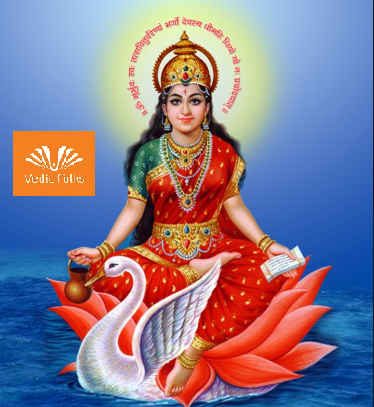 The individual who completely devoted to Goddess Gayatri can make extraordinary progress in the way of self development as Goddess Gayatri motivates towards upright. Prathana, Ganesha Puja, Doopam Deepam Neyvetyam, Karpoora Aarthi/Deeparathana, Mantra Pushpham for Ganesha, Sankalpa to Ejamanars/Sponsors, Yadhasthanam, Kalasa Avahanams, Archana for Avahana Devadas, Doopam Deepam Neyvetyam Deeparathana, Rudram, Chamakam, Purusa Suktham, Narayana Suktham, Durga Suktham, Sri Suktham, Bhakya Suktham, Shanthi Panchakam, Pavamana Suktham, Ayusha Suktham, Gayatri Puja (Moola mantra Japa), Agni Invocation, Ganesha Homam, Parivara Devada Homam, Gayatri Homam, Doopam Deepam Neyvetyam Deeparathana, Namaskaram, Maha Purna Huthi, Kalasa Deeparathana/Maha Deeparathana, Mantra Pushpam, Yadhasthanam, Kalasa Purochanam/Holy Water, Maha Prasadams, Final Namaskaram Process/Blessings from Bramanas. Gayatri Homam is thought to be the refined homam among all the homam. Goddess Gayatri offers great well being, imperativeness and life span, riches with effortlessness etc. Gayatri Mantra is considered to be the lead among all the mantras. Chanting this Gayatri Mantra, will give blessings from the Lord Surya Deva along with the blessings of Goddess Gayatri. This mantra has the power or energy as same as the emission of Sun (Suryan). - Removes all effects of our previous birth and karma. - Perform this homam brings purity in mind and soul for being a good human. - Gayatri homam helps to exterminate the negative qualities of an individual to lead a successful life. - Fulfills the wishes / desires in life. We at Vedic Folks are proud to possess the most authoritative experts who have the knowledge and ease to invoke these powerful radiations who can bring all success in your Life !